The ice will be back in the MacInnes Ice Arena beginning June 5! To celebrate, several ice programs will be starting as well. 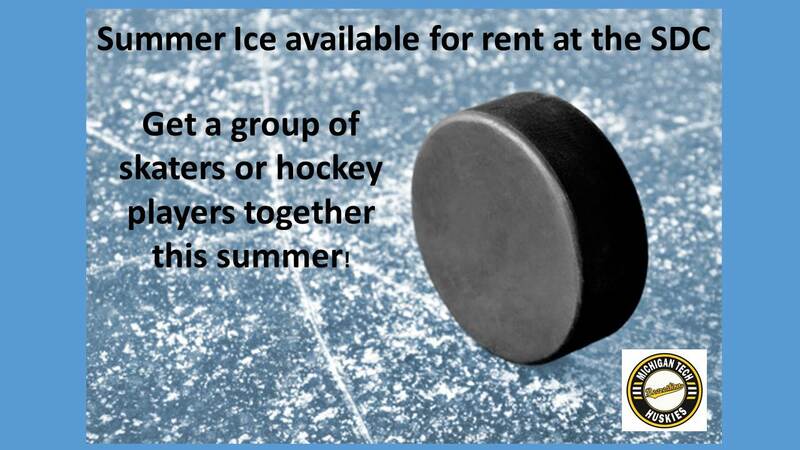 Drop-in hockey for mites through high school will be offered June 5-7. Other programs such as Total Skills & Power Skating and Hockey FUNdamentals are also open for registration. Public Skating will begin Sunday, June 7, and continue throughout the summer. Free to SDC members and Michigan Tech students, included in select Friday and Sunday daily pass purchases or $3 at the SDC Ticket Office for skating only. Skating Programs such as Learn to Skate and Skate Up are open for registration. For more information on all Recreation programs, visit www.michigantechrecreation.com. For $165 you get 50 minutes on a clean sheet of ice along with locker rooms! 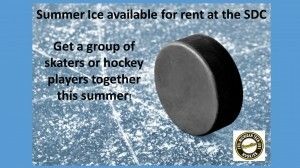 Summer rentals run from Saturday, June 6 thru Monday, August 31. See the Ice Schedule. Reserve the Ice. 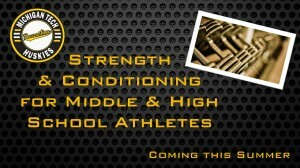 Michigan Tech Recreation will be offering a Strength & Conditioning Program for Middle and High School Athletes this summer. The program is open to girls and boys entering grades 6-12 in Fall 2015 and will include speed and agility training, strength training and conditioning training. Two six-week sessions will be offered, June 8 – July 17 and July 20 – August 28. Participants meet three times/week for an 1 1/2 hour training session. Class size is limited. Cost per session is $175 or $335 for both. Eligible Michigan Tech employees may use TechFit dollars. 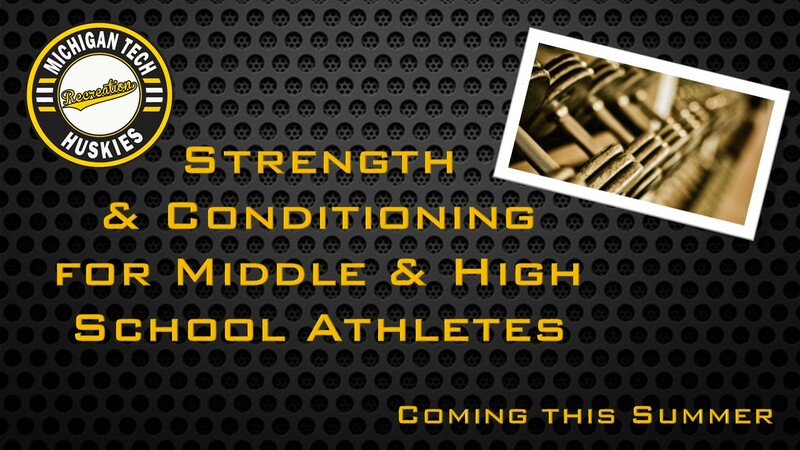 For more information or to register, visit Strength & Conditioning Program. Commit to be HuskiesFit in 2015! Get HuskiesFit this Summer with Community Programs! Commit to be HuskiesFit this summer with Michigan Tech Community Programs! Registration is now open for a variety of adult and youth programming. Classes begin May 10. Whatever your fitness needs or interests, we’ve got you covered! Intro to Aerial Silks made its debut this spring and received great reviews! A new addition to the lineup this summer is African Dance. A combination of rigorous steps and routines from across the African continent accompanied by contemporary Afro-pop beats, it is sure to be a very lively and engaging class! These are just two of the many options available to adults this summer. Visit adult programs to see the full list. Fitness class enrollment is rolling, and walk-ins are always welcome! Don’t forget to take advantage of programs such as TechFit for eligible Michigan Tech employees and discounts for SDC annual members! For more information on all summer community programs or to register, visit Michigan Tech Community Programs.